Did an ancient practice spark Apple co-founder Steve Jobs’ genius? There’s little doubt renowned genius Steve Jobs influenced as many lives as any other creative thinker in the modern era. Although the Apple co-founder’s illustrious career in the tech industry has been well documented, few are aware Jobs had life-changing experiences in India in his late teens; even fewer seem aware that he credited these experiences, and the daily habits they instilled in him, as being crucial to his phenomenal success. Last month, cameras began rolling on location in California for the new biopic on Steve Jobs. This one is being directed by Slumdog Millionaire‘s Danny Boyle and is said to take a different storytelling approach to the much criticized 2013 biopic starring Ashton Kutcher. Boyle’s film stars Michael Fassbender as the Apple co-founder, while Seth Rogan is playing fellow co-founder Steve Wozniak. Apart from getting across all the drama, role-reversals and twists necessary for a Hollywood blockbuster, will this new movie also explore where Jobs’ rare mental abilities came from? Or will it simply be an emotional rollercoaster that fails to reveal what rare cognitive methods may have been behind the man’s great Apple inventions like the iPad and the iPhone? If there are no lengthy sequences set in India, then the answer to these questions will surely be a no – for Jobs discovered in that country the ancient discipline that would influence him more than anything else. 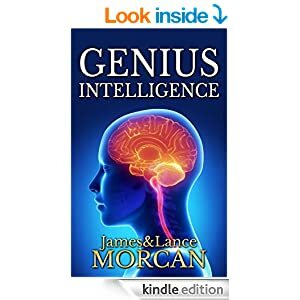 The undisputed genius’s love affair with the Indian subcontinent is detailed in the new release bestselling book, GENIUS INTELLIGENCE: Secret Techniques and Technologies to Increase IQ, by New Zealand father-and-son writing team Lance and James Morcan. 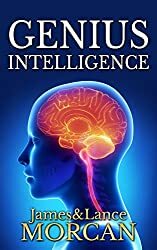 The Morcans mention in GENIUS INTELLIGENCE how, through advanced Yogic techniques, Jobs may have activated previously dormant glands in his brain which stimulated his creativity. Some clinical studies have shown Yoga may hold great potential for intelligence and that it can enhance IQ levels of practitioners, accelerate learning as well as increase memory. For example, Hatha yoga, which is comprised of asanas, pranayama, meditation and Om chanting, has been shown to increase blood flow to the brain. Yogic breathing techniques, known as Pranayama, increase the supply of oxygen to the brain, which in turn enhances memory and concentration. Other research has shown the processing of sensory information and visual perception are also honed with yogic practices. Reportedly, the only book Jobs ever downloaded to his iPad was Autobiography of a Yogi, by Paramahansa Yogananda. 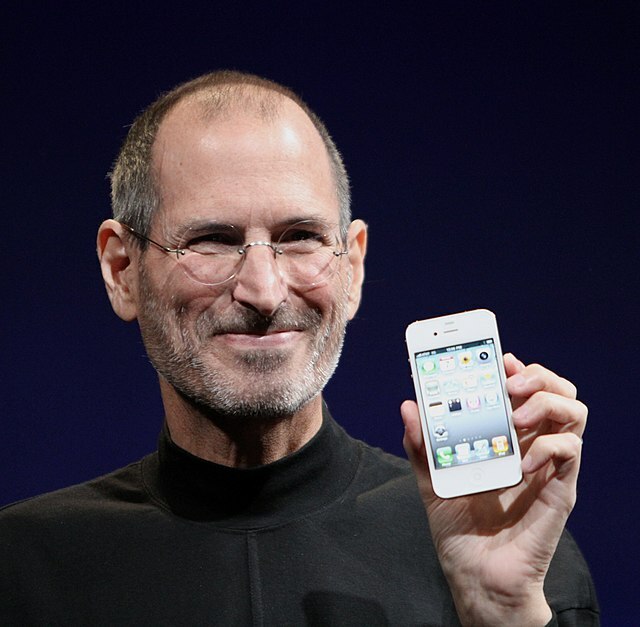 As the mastermind’s legacy lives on with his company’s continuing resurgence a resurgence that includes new and upcoming releases like the iPhone 6 and Apple Watch – perhaps it’s time to look back and seriously question how Jobs evolved into the genius he became. A renowned genius who has perhaps influenced as many lives as any other creative thinker in the modern era was Apple co-founder Steve Jobs (1955-2011). Although the history of his illustrious career in the tech industry has been well documented in books, movies and untold news articles, few are aware that Jobs was intensely interested in India – and in Yoga. Steve Jobs and his beloved iPhone invention. Yoga Journal published an article on September 11, 2013 about the master inventor’s lifelong relationship with the Eastern discipline. In 1974, shortly after he had dropped out of college, Jobs traveled to India as a backpacker. He stayed on the the subcontinent for seven months and during this period he first discovered and began to practice Yoga. He cited the experiences he had of meeting Yogis at ashrams all over India as being among the most influential of his life. The 19 year-old returned to the US an altogether different person. Two years later, in 1976, Jobs co-founded Apple (with fellow college dropout Steve Wozniak) after having the revolutionary idea of personal computing for the masses. Some say that Jobs’ statement “I was worth over $1,000,000 when I was 23, and over $10,000,000 when I was 24, and over $100,000,000 when I was 25, and it wasn’t that important because I never did it for the money,” was directly inspired by this passage from the holy Indian scripture Bhagavad Gita:“Relinquishing attachment to the fruits of work, always contented, independent (of material rewards), the wise do not perform any (binding) action even in the midst of activities”. 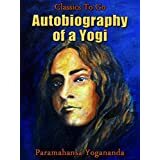 Whether that’s true or not is open to conjecture, but reportedly, the only book Jobs ever downloaded to his iPad was Autobiography of a Yogi, by Paramahansa Yogananda.